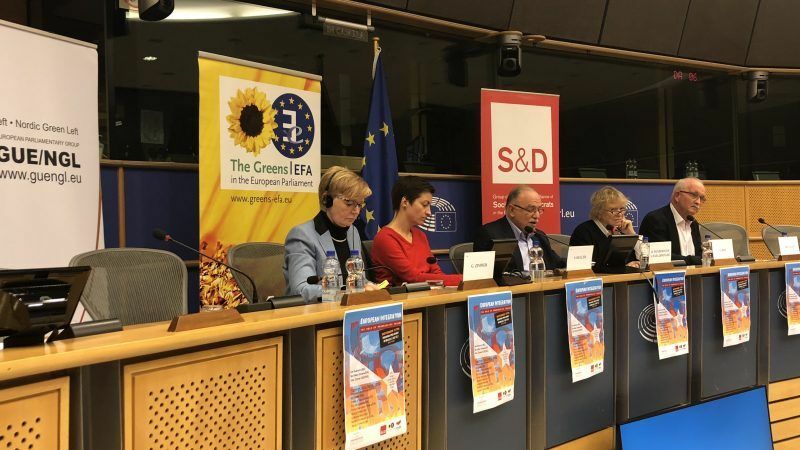 Speaking at a conference organised by Progressive Caucus, an informal group of MEPs from the three political groups, Udo Bullmann (S&D), Ska Keller (Greens) and Gabi Zimmer (GUE-NGL) underscored the need for a progressive alliance. Dimitris Papadimoulis, a Syriza MEP and Vice-President of the European Parliament who is pushing for such an alliance, told EURACTIV.com that it was a first positive step. “The Progressive Caucus’ initiative to organise this meeting will only be successful if it is considered an initial kick-off for a process of intense progressive convergence of the three political groups around joint missions,” the leftist MEP said. He said the aim was not only to combat the far-right and the neoliberal dogma but also to achieve concrete progressive objectives in the process of European integration. “There is a need to influence the political decisions after the European elections as well as the people who will shape them,” he added. Papadimoulis, together with Greek Prime Minister Alexis Tsipras, has launched a number of initiatives to build bridges among Europe’s fragmented progressive political forces and create a broad alliance ahead of the EU elections. 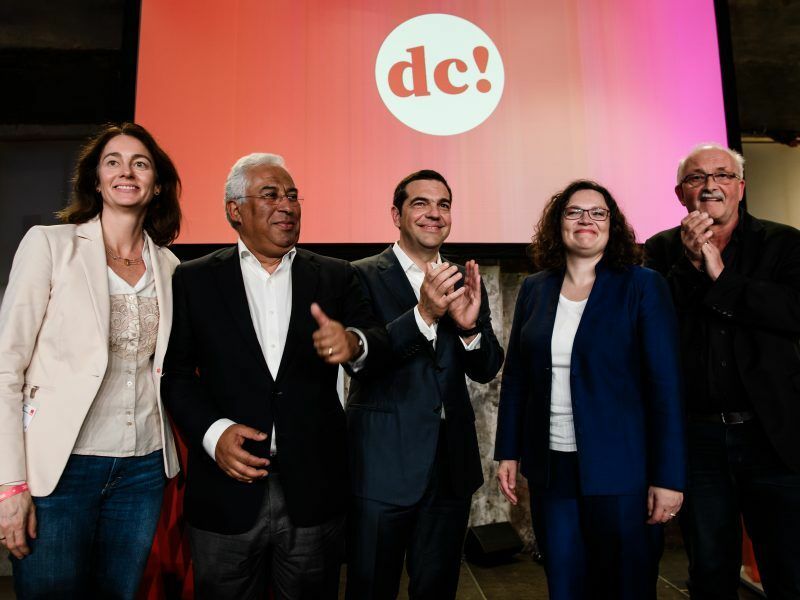 Greek Prime Minister Alexis Tsipras and his close ally, senior Syriza MEP Dimitris Papadimoulis, are launching a number of initiatives to build bridges among Europe’s fragmented progressive political forces and create a broad alliance ahead of the EU elections. Using similar rhetoric, all three leaders emphasised the need for a change of the current EU governing model as the only way to halt a far-right turn after the EU elections. “I was hoping for this event for a long time so that the progressives can exchange their views to see what we agree on and hopefully also to set out a strategy that has to be followed through in the next mandate,” Bullmann said. “This is where the big fight will take place in the European Parliament,” he added. Bullmann cited climate change, migration, globalisation and aggressive capitalism as major challenges to be addressed. These challenges, he said, prompt fears among people who then risk being swayed fall by the extreme-right. “We have to take back the control over the development of our societies but this needs a European response,” the German politician said. “Is this enough? No. A lot of people would say yes Europe is the answer but not this Europe you are in, this Europe needs a radical change,” he added. Bullmann also highlighted the need for an “ecological transition of capitalism” but stressed that it could be only well done if we have at the same time reduced inequalities. 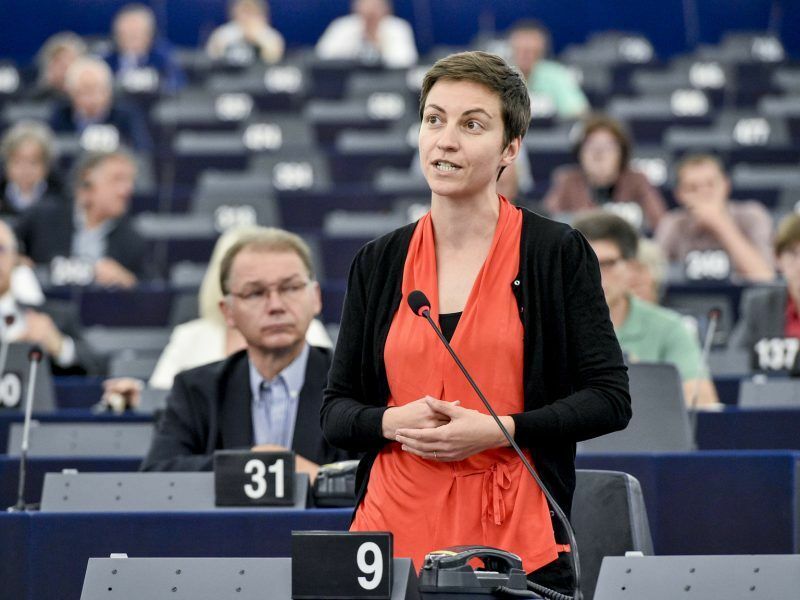 Ska Keller, who is one of the two Green Spitzenkandidaten for the European elections, noted that a clear pro-EU progressive direction is “urgently needed” but in order for it to be translated into action, she said majorities at the member state level are crucial. “We have to push for our agenda with concrete proposals on the table instead of running behind the far-right rhetoric. We need to have a progressive EU Council,” she added. Leftist Zimmer, who recently said that social democrats are not the “enemy” of the leftist parties, referred to the manifesto of Ventotene, a pro-EU federalist political statement written by Altiero Spinelli and Ernesto Rossi when they were prisoners on the Italian island of Ventotene during the Second World War. The president of leftist group GUE/NGL in the European Parliament urged left-wing parties across Europe on Friday (9 November) to be open-minded and respect mutual differences in order to come up with a joint strategy for achieving majorities in the next EU House and fighting “neoliberalism and racism”. EURACTIV.com reports from Bilbao. 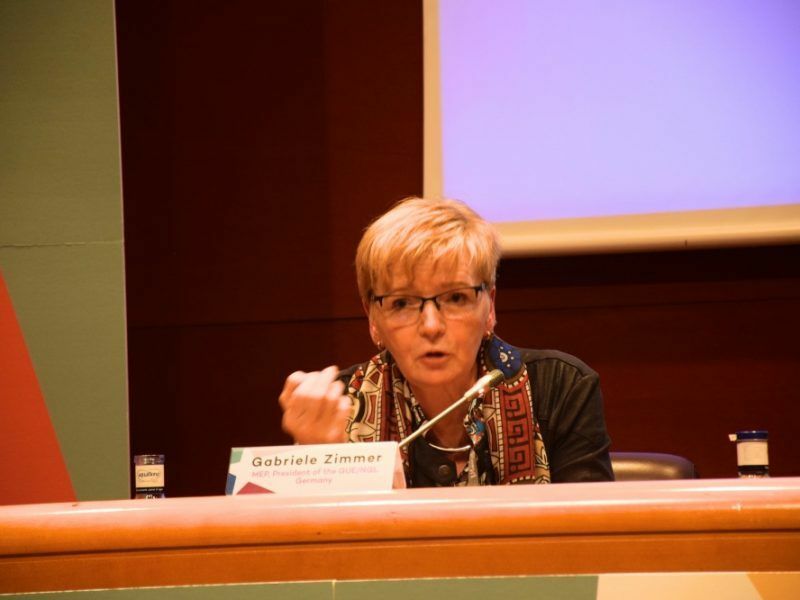 “We need a new Europe of real socialist nature, which could bring together what we mean on social rights, ecological standards and democracy,” Zimmer noted. Zimmer said the progressive alliance should not be limited to political parties but also reach out to civil society organisations; Otherwise, the fight against extremism will be lost. EURACTIV understands that the scenario of a common candidate for progressive forces before the EU election is not on the table considering that the Greens have already picked two co-Spitzenkandidaten, Ska Keller and Bas Eickhout, while the S&D will rally behind Dutch Commission First Vice-President Frans Timmermans. However, it’s possible that the three political groups will seek majorities to push for a commonly accepted candidate after the EU election. EU social democrats, leftist politicians and ecologists urge the need for a common strategy to halt the rise of far-right populism in Europe, before and after the 2019 EU elections. EURACTIV.com reports from Bilbao.